Donald Eno launched this Penobscot 14 in May 2001 in Lake George, NY. FRENCH LOTION is an Arch Doak design, 14' x 4'6". 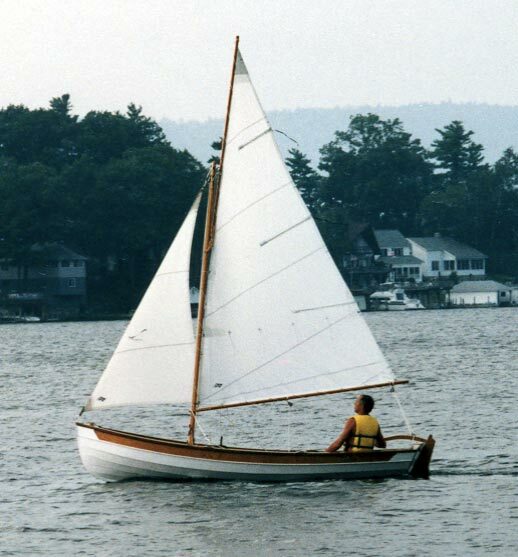 It took two years to build, and Donald plans to sail her on Lake Erie and inland lakes in New York State. E-mail Donald at aqmwena@netsync.net.